Two taps on a draft tower! This 3 in. 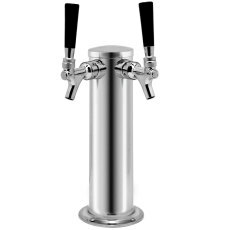 diameter draft tower with two chrome plated brass faucets is perfect for installation on the top of a mini refridgerator or on top of your home bar! It features a stainless steel body which looks fabulous and is easy to keep clean. 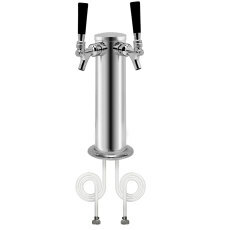 The included liquid side connections on the liquid lines are standard beer hex nuts and can be fastened to U.S. sanke couplers for dispensing of beer from commercial kegs. However, these are easily converted to ball or pin lock connections for those with home brew style kegs. 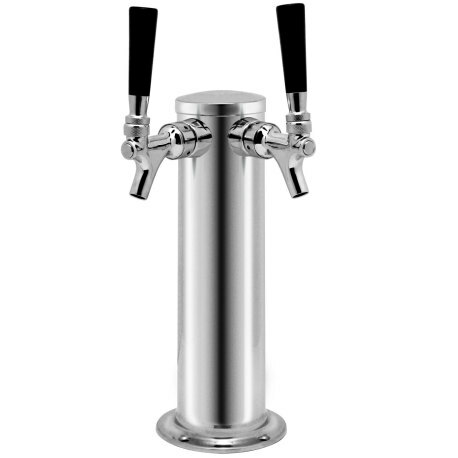 Have two beers flowing at the same time with this stainless steel draft tower! Have two beers flowing at the same time!